To me, designing a timeless interior is a relationship between ambiance and our surroundings- how do we bring the influence of our lives and our passions in to our home? 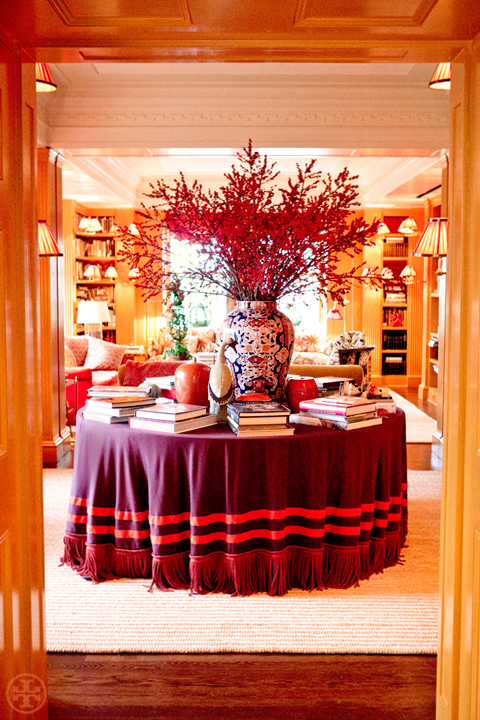 I've typically seen skirted tables upholstered in a softer color, but her bold choice inspired me. Now I'm thinking of having one upholstered in a statement-making hue. 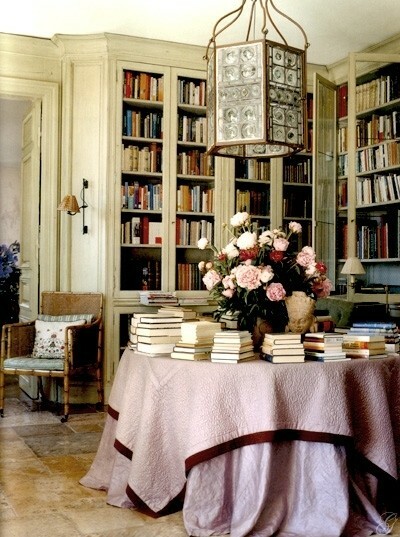 I love the way the books are displayed as they would be in a store- all the way around the table. A skirted table would also make a pretty addition to a master bedroom. Instead of books, special framed photos could be displayed. 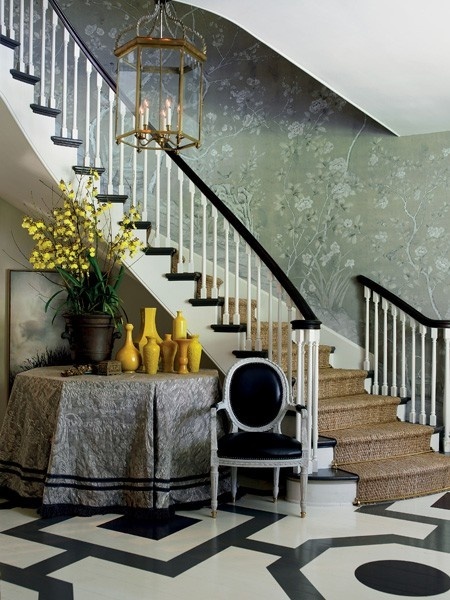 To see more of my foyer inspiration, click here. Great suggestion! To be honest I would never think to shirt my table but I do love all of the pics you have here - I just may need to explore this as an option! I saw that picture of TB's foyer the other day- still can't get over what great taste she has. So gorgeous!! Love the skirting. Love it! I love skirted tables for their ability to show off a fun fabric without the commitment of upholstery while hiding tons of storage underfoot! I agree with Julia!! I love this decor "trend"...it looks so sophisticated and chic as well. The first and last pictures are my favorite! Consider me your newest follower! Greatest post ever! I knew we were meant to be besties. Truly.